The unique styling of the Devine bedroom collection offers a casual contemporary look that is sure to make a bold statement in your master bedroom. The headboard features a solid high double panel perfect for accenting the bed with decorative pillows. 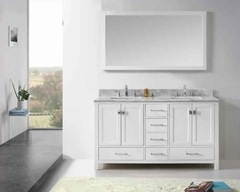 The top drawer fronts on each case piece features a mirror front panel which creates an exceptional appearance and style. 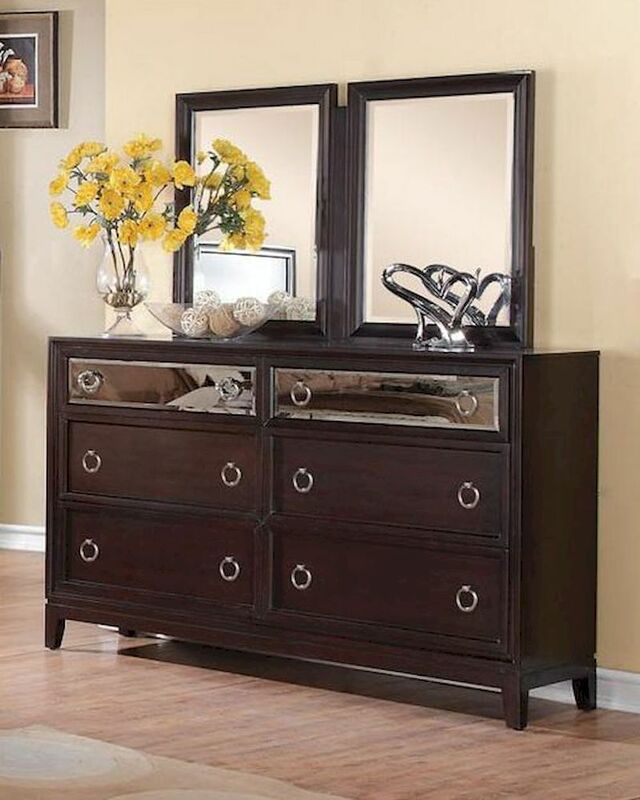 The dresser comes with a dual bevelled mirror which adds to the contemporary feel of this impressive bedroom collection.